We are a small friendly club for all ages, meeting from 7.15 – 10.00pm on Wednesday evenings at Witherslack Village Hall (except June, July & August). 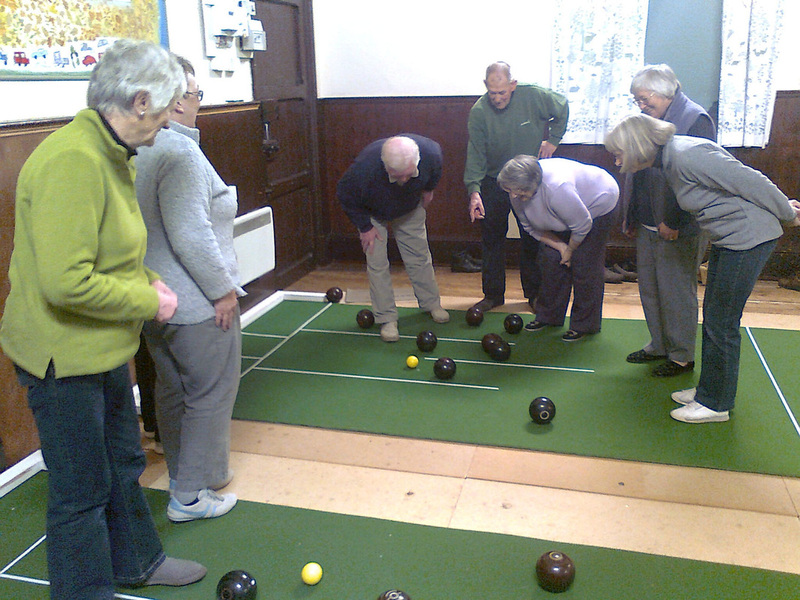 We offer gentle exercise, a good social evening (with tea & biscuits!) and some competitions. All equipment is provided and all you need is a pair of soft-soled indoor shoes or slippers. Why not come along one Wednesday evening and have a go. You would be surprised how much fun it is – just like ten pin bowling only slower, with a green carpet and completely different!